By now, you know what’s up. Spring training camps have opened for pitchers and catchers, but despite the late hour we still have a number of name free agents still unsigned — Bryce Harper and Manny Machado chief among them. When you sign premium free agents, you do so knowing that you’ll likely take a hit on the back end in terms of production on the dollar. That’s covered by all that surplus value you get in the early years of the contract. Harper and Machado are uncommonly young as free agents go, and it’s possible their next contracts won’t even extend into their deep decline phases. Decline, yes. Deep decline? Maybe not. As recently examined in this space, there are seven main reasons that the free agent market seems to be depressed at the moment. Most of it is on owners who don’t seem to care about winning and have so many guaranteed revenue streams that they lack proper incentives to get better. Some of it, however, is also on the players and the MLBPA, who failed to anticipate these trends while bargaining for the current collective bargaining agreement. 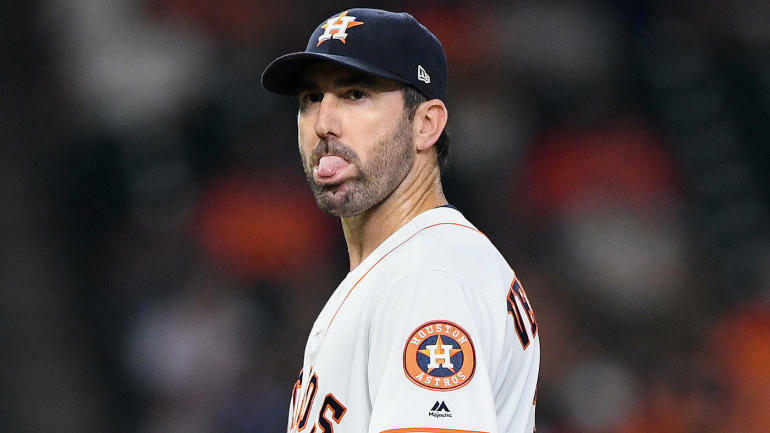 Verlander hit on a couple of the reasons, and his frustration is telling. If the guys who have already hit their big paydays are frustrated, what does that say about the players who haven’t?